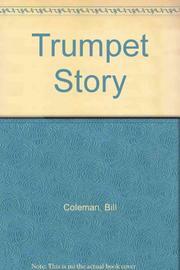 The life of the legendary trumpet player, first published in French translation in 1981, the year he died. Coleman is legendary in part because since WW II he spent much of his time abroad and so was not heard in the States except on record and on short visits to Manhattan and his home in Cincinnati. He was born in Paris, Kentucky, in 1904, moved at age five to Ohio, and in his mid-teens was a late beginner on his instrument. Largely self-taught, Coleman learned technique by copying Louis Armstrong's solos from records. The art of the trumpet demands confidence and bravura, and Coleman's sound, while unexciting when heard beside virtuosos such as Armstrong, had a swinging, reserved elegance that closely embraced each riff or melody and seldom ripped loose for a venture into the unknown, especially When supporting sax giants Ben Webster and Coleman Hawkins in small combos for record dates. His best tracks may be those from the mid-30's with Lester Young and the Kansas City Five and with the Hot Club of France and Stephane Grapelli and Django Reinhardt, which show his tone and swing at full bloom. His story as told here reads like a Downbeat guide to playdates and personnel and is best for giving a sense of the swingband player's life on the road in the 20's and 30's, of being a black married to a white woman, and of life as a world traveler (Egypt, Japan, etc.) and free agent in Europe. His vice as a writer is encyclopedic recall of hundreds of players who have faded from memory and are now only names and instruments. For trumpet buffs only.